Disney Unveils Immersive Star Wars Hote Where You Can Be A Jedi #SciFiSunday « Adafruit Industries – Makers, hackers, artists, designers and engineers! 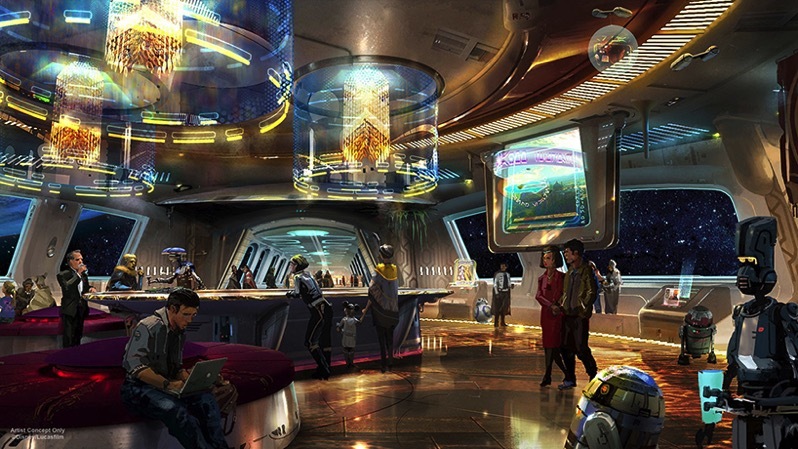 the new disney star wars hotel will stretch the interactive experiences found at their theme parks to their accommodation sites. the design has been teased and it looks like an enormous starship that gives the sensation of being in space with views of outer space from every window. but the most exciting part is that each guest will be given a storyline to go along with the movies. employees as well will be in character, making the experience as believable as possible.